Since Colin Kaepernick decided to make Black Lives Matter and politics center stage for the NFL, things have not gone well for him. From what I hear this will be his last season with the 49ers. Not to mention, the NFL’s ratings are in a death spiral… they are plummeting as people boycott football because it allows for hate to be promoted against America, police officers and the military. Now, the NFL is shocked. Go figure. College football seems to be a different thing and most of the teams are not succumbing to this political insanity. The real problem with the NFL, is not Kaepernick… it’s the commissioner Goodell. He should step down as he has come out in support of Black Lives Matter. 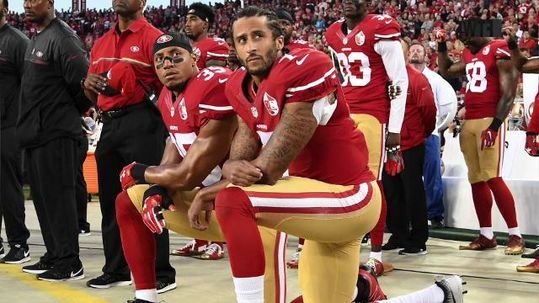 He punishes team members who wear cleats in honor of 9/11 and fallen officers, but lets those who do the same for Black Lives Matter have a pass. Americans are frankly sick of it. “Football, America’s biggest prime-time powerhouse, has been thrust into a crisis this fall, with dwindling ratings sparking questions over whether it can remain a gold mine for television in an age when more Americans are abandoning traditional TV. But now, the NFL is seeing its ratings tumble in the same way that the Olympics, awards shows and other live events have, falling more than 10 percent for the first five weeks of the season compared with the first five weeks of last season. A continued slide, executives say, could pose an even bigger danger: If football can’t survive the new age of TV, what can? Football’s traditional TV audience “is never going to be what it was again,” said Brian Hughes, a senior vice president at Magna Global, which tracks audience and advertising trends. The explosion of modern entertainment options, offered on more devices and at any time, has splintered American audiences and sped TV’s decline, Hughes said. Politics has no place in sports. People watch sports to get away from this crap. Whereas players have the right to express themselves, the coach and the commissioner have a right to say no-go. This whole thing has gotten way out of hand. 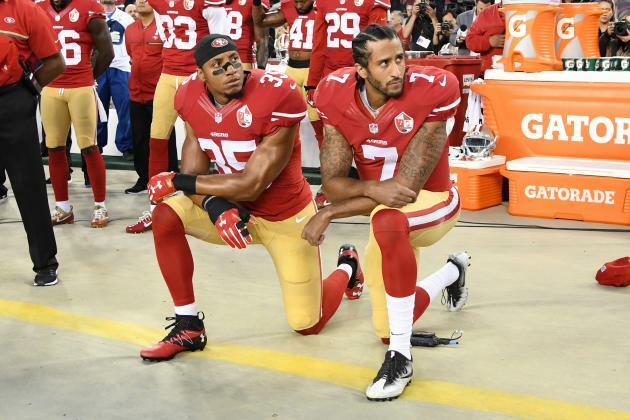 Sports should not be about race, politics or protesting. Americans love football – they are fanatical about it. But they also love their country and their heroes. Kaepernick is an insult to all of that. He is the very definition of deplorable. You know how the NFL can make their ratings go through the roof? Have a patriotic commissioner and have their teams show respect for the flag and the National Anthem. That’s what Americans want to see and they would line up for it.